Open any womens magazine and it will tell you that a classic wrap-style knit dress* magically flatters everyone. Since I’ve never been able to keep wrap dresses wrapped, I thought I could make a faux-wrap style and still be magically flattered. As it turns out, wrap–or even faux wrap–dresses work better on people with more normally-proportioned figures. (You gotta have something to wrap things AROUND, is what I’m saying). On me, I think the whole thing just kind of hangs and flaps from my bony shoulders–and this is after I tweaked the fit about four times to get it somewhat wearable. It’s just not the style for me. Next time I’ll ignore the womens magazines and stick with my Twiggy dresses from the 60s. *A true wrap dress is like a bathrobe: put it on, cross the fronts, tie the belt, and hope for the best. A faux wrap also has fabric crossed over the front, but it’s sewn down on the sides. 2. Happy Birthday to Dashiell Hammett! 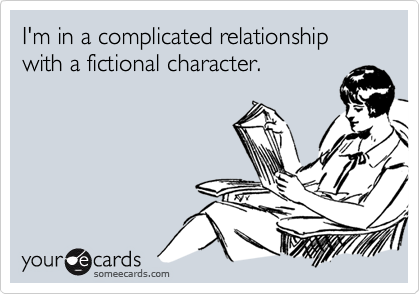 I prefer Chandler, but we must keep in mind that Hammettt gave us Nick and Nora. Even though Bob Dylan is one of my absolute favorites, I haven’t featured any songs here because I know he’s not for everyone. But Tuesday was his 70th birthday, “Maggie’s Farm” has been in my head all week*, and this performance is pretty great, if only because he seems so pissed. I don’t think this is the 1965 Newport Folk Festival performance where he went electric (because the crowd cheers in the end) but it seems to be from about the same time. My buddy Ted was born today in 1908. His work was one of the first poems I did a close reading of in high school (thanks, Mr. Bickmore!) and I had never experienced anything like it before. Still holding and feeding the stem of the contained flower. Other than my washer and dryer, I think this couch is the nicest thing I own. I am so happy with it. I think Ray Bradbury dislikes rain as much as I do–he wrote the wrenching “All Summer in a Day,” about missing out on the only clear weather in a decade, and last night while listening to the rain I remembered “The Long Rain,” about a group of Venus explorers who get lost, go crazy from the constant rain, and die. I’m not saying that that will happen to me, of course. I’m just saying that if I wanted it to be cold and rainy a week before Memorial Day, I’d live in the Northwest. 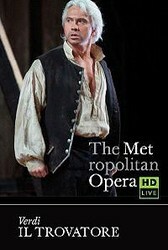 Oh yeah, that’s my boyfriend and his open shirt in the Met’s production of Il Trovatore, which I am seeing tonight. My mom and I have always wanted to see one of the live Met broadcasts to movie theaters, but the live date of this ended up being Skyler’s birthday and we both decided we’d be too distracted checking for updates. Fortunately, the Met re-broadcasts them. I haven’t spent time with Dmitri since I re-watched Eugene Onegin at the end of March (which is both a good and a bad thing to do if you’re railing against fate), so I am excited to go from really dramatic Russian drama to really melodic Italian drama. And for the chance to see more of him in his tunic.